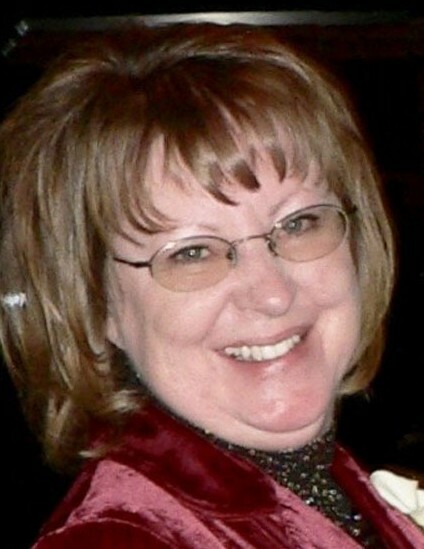 Joyce Vinton (Heiniger), 65, passed away at home August 4, 2018 in Copperton, Utah. She staged a courageous battle with cancer for over the past five years. Joyce was born in Price, Utah on April 20, 1953 to Jane and Walter Heiniger and was raised in Orangeville, Utah. She graduated from Emery High School in Castledale in 1971. She married Wayne Jensen (deceased) in 1972 and they had two children, Bob Jensen (Trish) of Green River, Wyoming and Becky Nicholson (Kevin) of Copperton, Utah. Joyce met Brian in 1991 and they later married on September 15, 2001. They have five grandchildren with Shayla, Ashlyn and Baylee Jensen in Green River, Wyoming and Tanner and Ryker Nicholson in Copperton, Utah. The grandchildren were always a high priority for Joyce and she always encouraged them to do their best and pursue challenges. Joyce was the foundation and light for the family. Joyce was quite talented in a number of areas. During her business career which spanned more than 30 years, she worked in the financial departments for several power and mining companies. She had the reputation for excellent work, attention to detail, superb work habits and rapid follow through. Her record keeping was impeccable with accurate and defendable data sets and reports. She was always considered highly capable, trustworthy and worked well with teams providing a helpful and caring environment. With her family and grandchildren, she approached this area of life with a great love and care. She was very talented in a wide range of disciplines from immaculate handwriting, arts and crafts, canning, cooking, golfing, and quilting to even carpentry. She always had kind and encouraging words to say to our grandchildren and wanted to know what they were thinking or doing. She would help them with creative projects for home and school. Joyce is survived by her loving husband, Brian, son Bob (Trish), daughter Becky (Kevin) and five grandchildren. Her living siblings include Harvey (Mary), Grace Humphrey, Garth (Lydia), Betty Cooper (Gary), Ross (Vicki), Pauline Stiltson (Randall) and Hazel Moon (Jerry). She was preceded in death by her parents Walter and Jane, brothers Edward and George, her sister, Wanda and brother-in-law Tom Humphrey. Service will include a viewing (closed casket) from 6 to 7:30 p.m. at Goff Mortuary, 8090 S. State St. in Midvale, Utah on Thursday, August 9, 2018, and a family remembrance to follow from 7:30 to 8:30 p.m. Graveside service and dedication will be held at 11:00 a.m. on August 10 at the Copperton Cemetery. Friends, neighbors and family are invited to the Copperton Lions Club for a luncheon after to celebrate Joyce’s life.